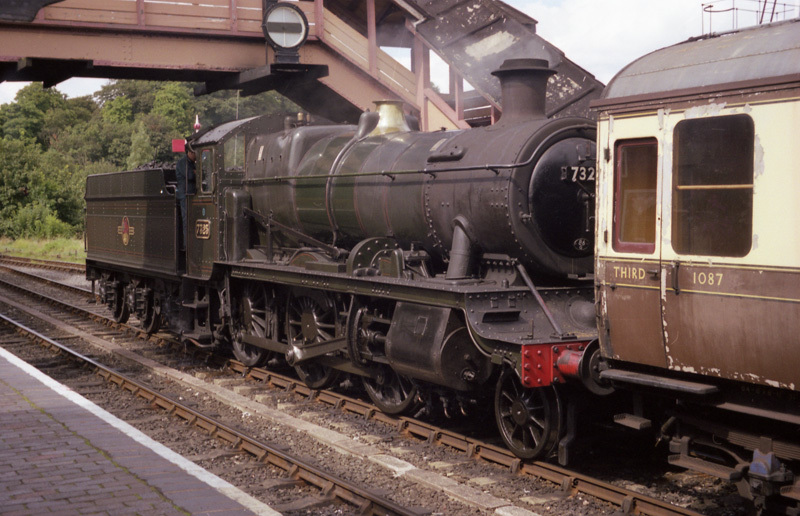 8th November 2000 was the public launch date for the 'Railways in Worcestershire' web site. On a lovely summer's day ex-GWR 2-6-0 tender locomotive No.7325 (previously No.9303) is seen at Bewdley on the Severn Valley Railway at the head of a train to Bridgnorth. The photograph was taken on 22nd August 2000. 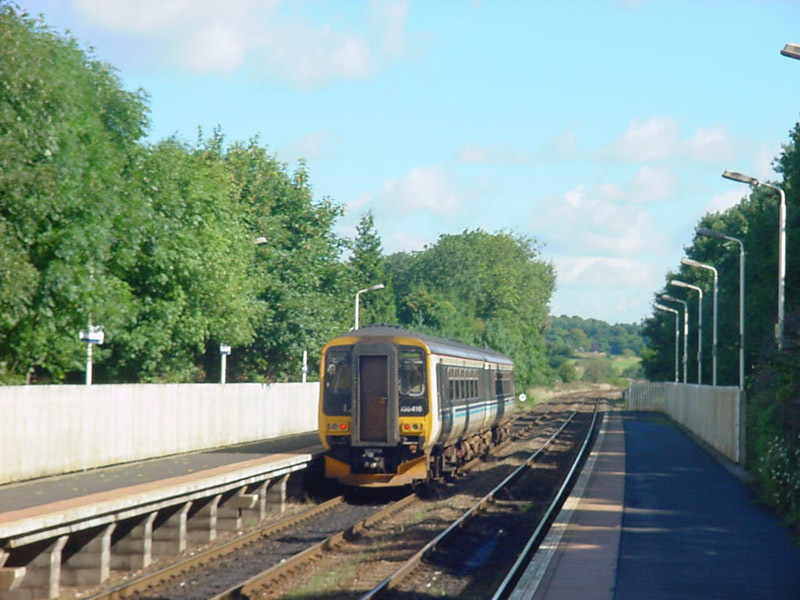 On the 14th October 2001 the South Wales and West of England part of the Wales West franchise was reorganised by National Express plc and became Wessex Trains Ltd. The Wales & West franchise had started life in 1997 owned by Prism Rail which was soon sold to National Express. 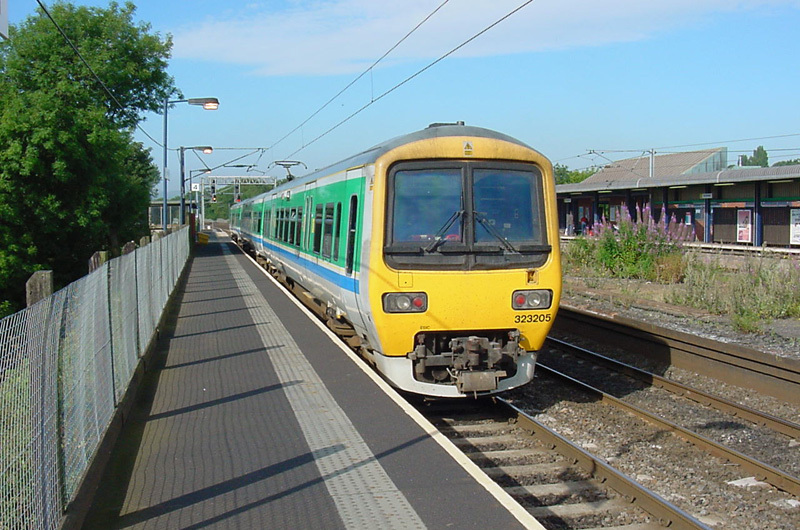 Wessex Trains lasted until 31st March 2006 when the franchise became part of the Greater Western franchise. Wessex Trains operated trains to Worcester Shrub Hill Station where they used the small Platform 3. 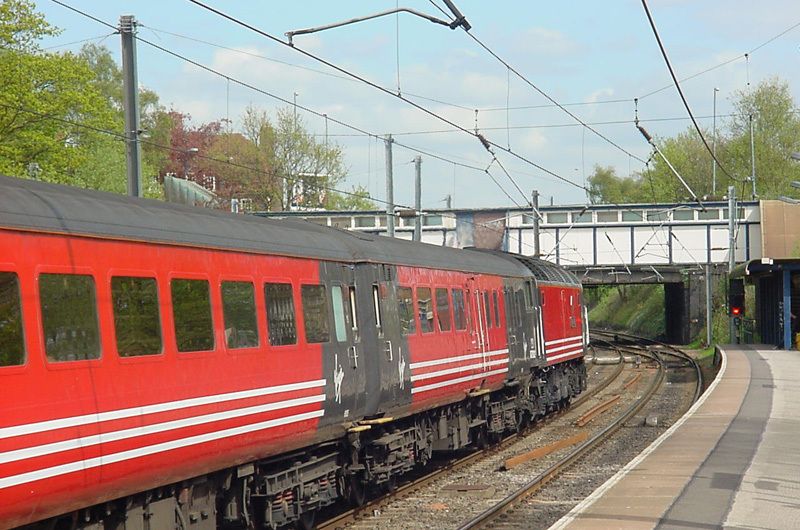 Class 158 units tended to carry the 'Alphaline' branding. Services originally ran from Birmingham New Street to Cardiff under this banner with alternate trains calling at Worcester. 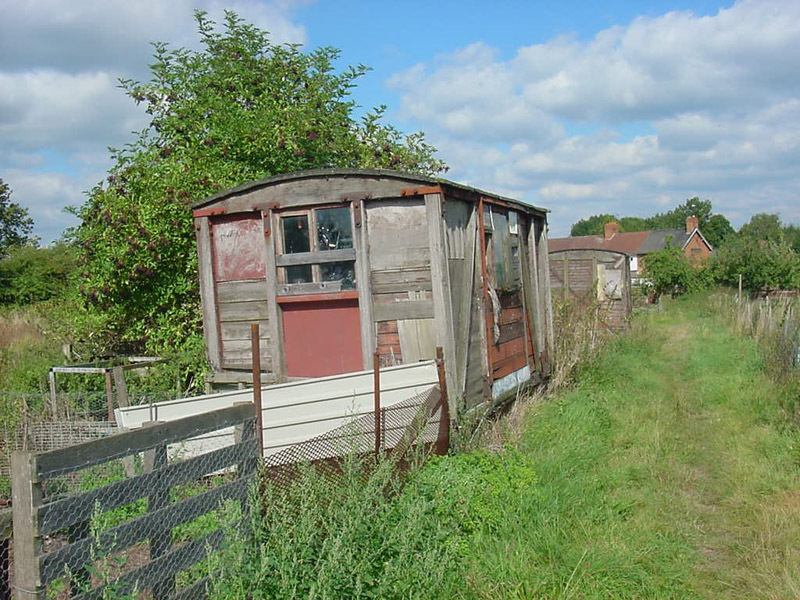 This former railway wagon had found an alternative use when seen near to the site of Stoke Works Station (GWR) on 4th September 2001. Second generation diesel multiple unit No.156416 at Blakedown Station on 4th September 2001. 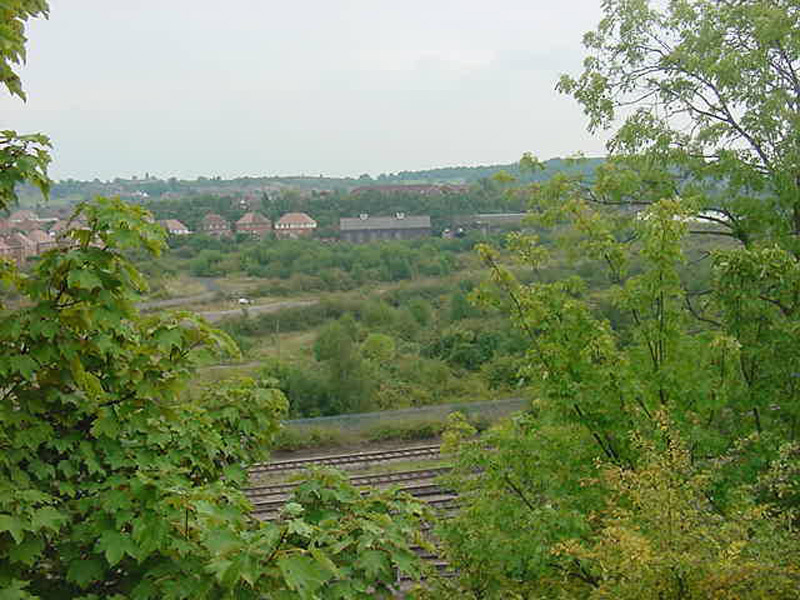 This photograph was taken on 21st September 2001 and shows the wasteland that filled the void on which previously had stood part of the Worcester repair works and freight yards. Seen through the trees this was the view from the towpath of the Worcester Birmingham Canal at the site of the former Somerset Road Station in Birmingham. It was a bright sunny Sunday morning as class 47 locomotive No.47828 'Severn Valley Railway' has charge of service 1V42 to Plymouth. A Birmingham bound express passenger train headed by class 47 locomotive No.47812 'Pride of Eastleigh' is seen on the line that allows it to take the Camp Hill route so that it will enter New Street Station facing in the correct direction for its ultimate destination. 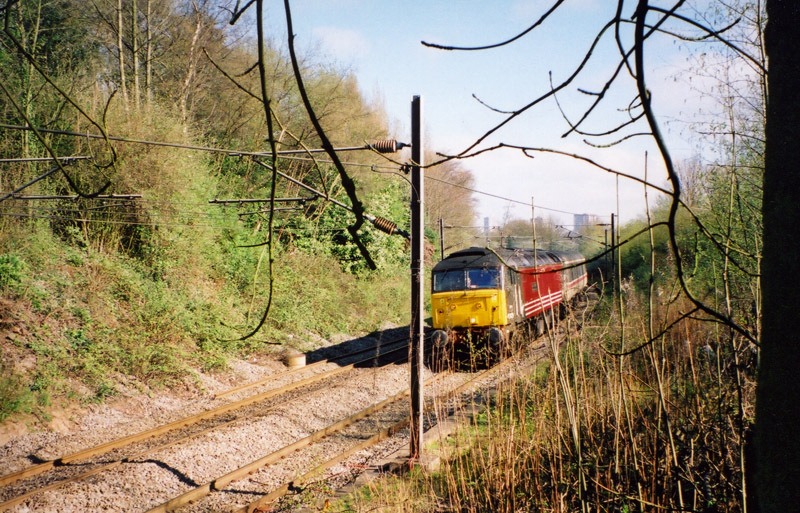 The photograph was taken on 25th April 2002 during the final year when these services were operated by class 47 locomotives. The service is 1M56 08:46 from Penzance to Manchester. It was a bright sunny morning at Northfield Station on 3rd August 2002 as Centro livery No.323205 departs on a service to Longbridge. 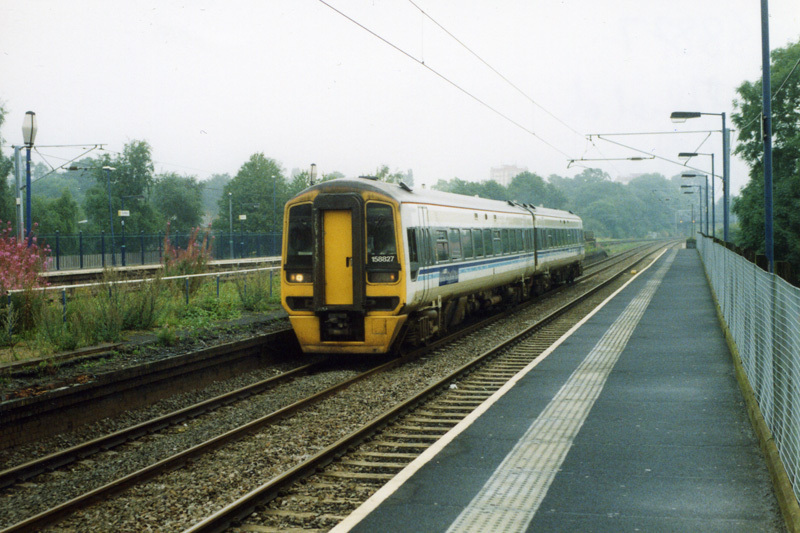 The weather at Northfield Station on 10th August 2002 was not typical of a British summer but it was possible to take this rather atmospheric photograph of class 158 diesel multiple unit No.158827. The train is passing through non-stop: the platforms in the centre of the station being out of use and derelict. 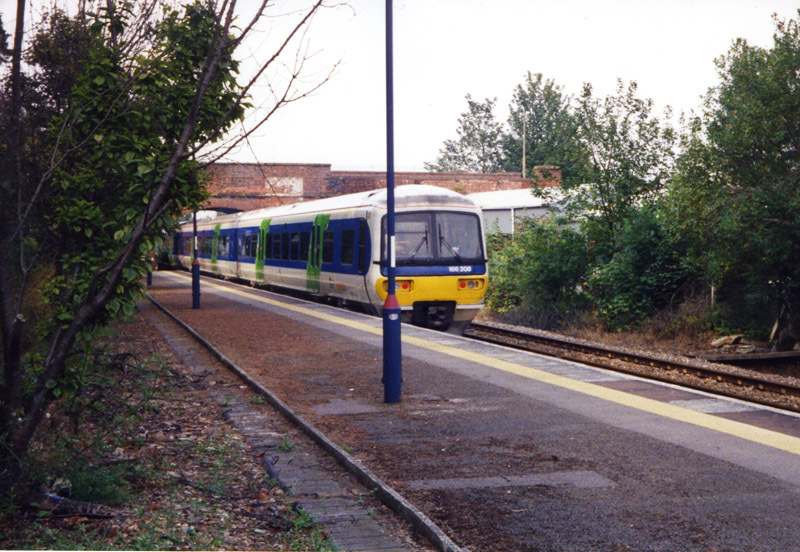 This is class 166 diesel multiple unit No.166208 departing from Malvern Link Station on 15th September 2002. The photographer is standing in an area that was formerly occupied by a siding.